We understand Macs. Our Apple Mac repair service is delivered by a specialist team of Mac experts, who know all the common problems and all the fixes. Whether you’ve got issues with your OS or problems with your Magic Trackpad, we’ll have them sorted before you can say ‘Steve Jobs’. Is your Mac out of warranty? Our Mac repair service offers the same high-quality repairs and advice: without the premium price. We do all Mac repairs in-house, too, so you can expect a quicker service as well as a cheaper one. We’re the local Mac repair shop for Subang Jaya, Petaling Jaya, Damansara and Bangsar. We offer fast, expert Apple Mac repairs to anyone living or working inside the said area. If your Mac packs up we’re the people you call. Busy life? We’ll make it easier. You can get your Mac to us any way you like. If you’re in the area, call +60176317707 and our very own team of geniuses will get you up and running again in no time. Or, if it’s not convenient for you to come and see us, we’ll come to see you. Our engineers work seven days a week, in the evenings as well as during normal business hours, and will come out to your home or place of business whenever you need them. 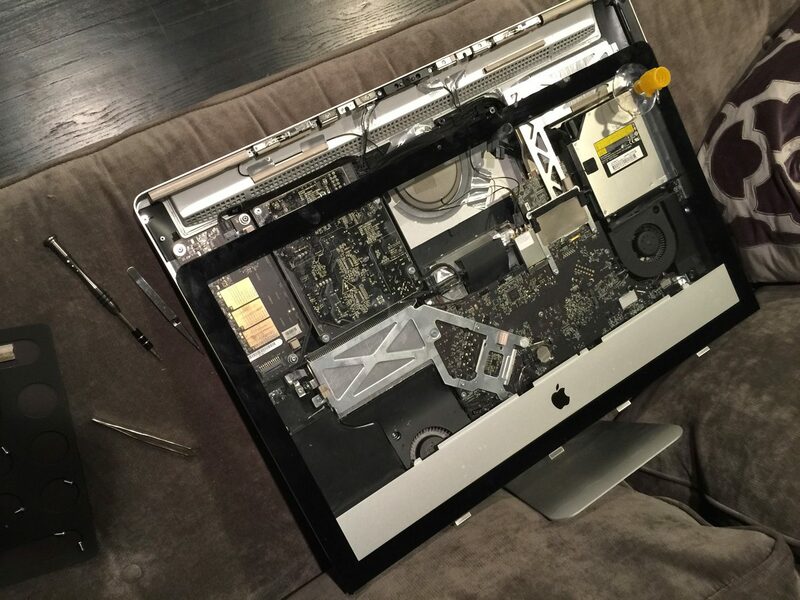 Our Mac repair engineers are fast, polite, and can often solve your issue on the spot.